TONI&GUY Curzon Street opened in Mayfair, central London in December 2013. 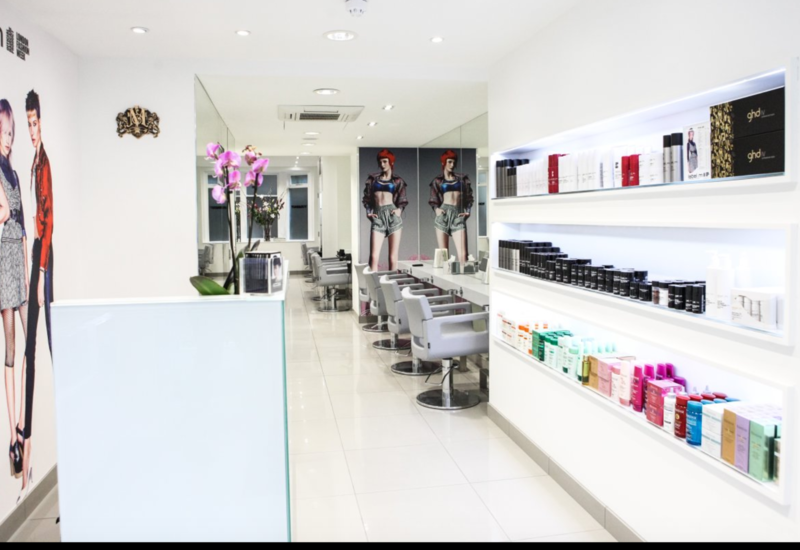 As a salon we pride ourselves on delivering the highest standards of customer service to each and every client. Members of our Colour team hold the prestigious Goldwell Colour Degree- their knowledge and expertise are on hand to advise you on the latest colours and techniques. We offer many additional services including Bridal and Occasion hair, the Nanokeratin Smoothing Blow dry, Beauty Therapist and Nails, which includes Massage, Facials, Waxing, Reflexology, electrolysis, Shellac, Manicures and Pedicures. Our wide range of haircare products include label.m, Kerastase, GHD and Tangle Teezer to keep your hair salon perfect until your next visit. Clients are welcome to seek the advice of our Strength in Style consultants in association with Macmillan Cancer Support. Cecilia is a superb stylist - I have been a client of hers for over 5 years and she’s is the reason I am a Toni and guy regular customer - the team at curzon st are friendly and professional ...they help make every visit an enjoyable one. Dora is always there for me before big events and when I need a new style! She is a wonderful person and her service is impeccable. Nobody touches my hair but her! Excellent all round service. Great atmosphere within the team. Dora was very attentive and creative. Very pleased and will come back again. T&G is a friendly, welcoming salon run brilliantly by Luca and Nicky. I have been a client there ( Davies Street, Regent Street, now Curzon Street) for over 20 years and it’s as good as ever. I still miss the occasional chat with Toni when he came in. Thank you Terence for such a lovely review. You have been our client for many years now and its always lovely to see you at the salon. We all miss Toni and his chats too. We look forward to seeing you again . Thank you Paul for your review, we are always happy to hear that our clients enjoy their experience at our salon. We look forward to seeing you again at Toni and Guy Curzon Street. Thank you for your review, we are always happy to hear that our clients enjoy their experience at our salon. We look forward to seeing you again at Toni and Guy Curzon Street. Thank you Nahid for your review, we are always happy to hear that our clients enjoy their experience at our salon. We look forward to seeing you again at Toni and Guy Curzon Street. Thank You Lisa for your hard work and genius. It is so great to be your client. Thank you Padraig, for taking your time to review our salon. I will pass on your kind words to lisa. I have to agree is a little genius :-). We look forward to seeing you again at Toni and Guy Curzon street. Thank you Ting for your review, we are always happy to hear that our clients enjoy their experience at our salon. We look forward to seeing you again at Toni and Guy Curzon Street. Very bad experience, I will not come over again. Fantastic service as always, an amazing team ???? Thank you Kai for your review, we are always happy to hear that our clients enjoy their experience at our salon. We look forward to seeing you again at Toni and Guy Curzon Street. Thank you Guy for such a lovely review, we are always happy to hear that our clients enjoy their experience at our salon. We look forward to seeing you again at Toni and Guy Curzon Street. Thank you Nic for your review, we are always happy to hear that our clients enjoy their experience at our salon. We look forward to seeing you again at Toni and Guy Curzon Street. Although I was a bit apprehensive at first, Cecilia knew exactly what she was doing. I have very straight and heavy hair which is difficult to cut and style. She did some awesome modern layers to sort it out! Thank you Irina for your review, we are always happy to hear that our clients enjoy their experience at our salon. We look forward to seeing you again at Toni and Guy Curzon Street. Thank You Dora for your genius and outstanding work ethic. Dora provides great service and her focus on detail is second to none. Nice haircut and great relaxing experience!